When I think of the perfect light to carry every day in my pocket, there is a clear formula that works for me and I'm reluctant to deviate from it. 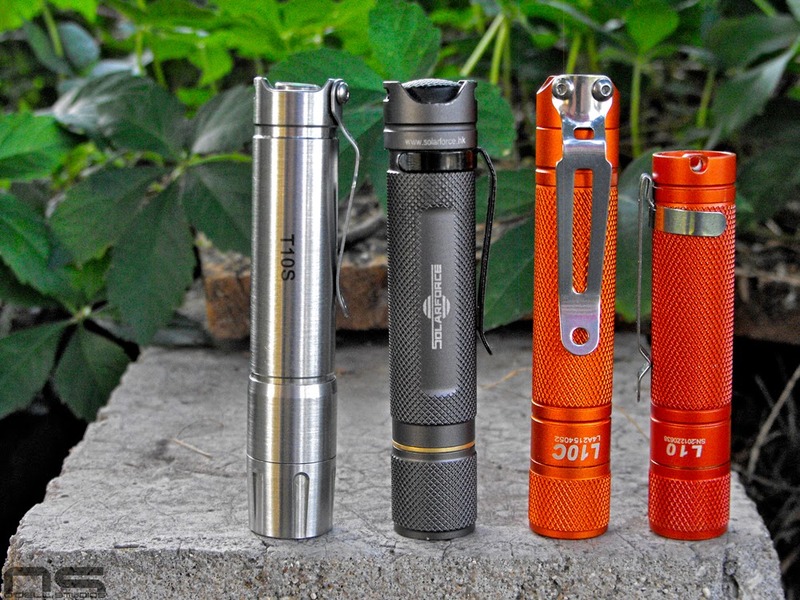 So when I see a light like the Thrunite T10, I am pretty excited to get one. 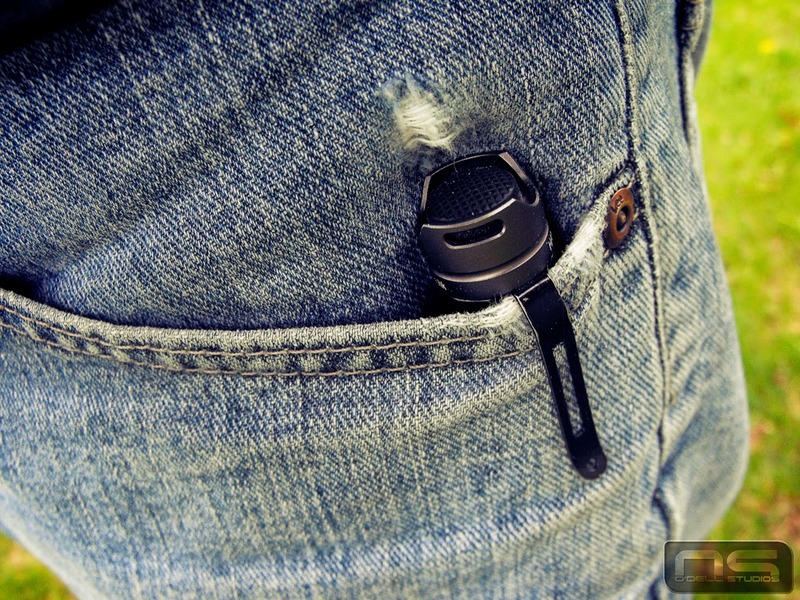 The pocket clip on the T10 is placed so that the light fits down in the pocket. 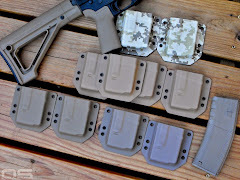 I'm not looking for concealment, I just don't want the portion of the light protruding from the pocket to jab me when I sit or bend, and I don't want it wearing at my belt or pants. I have a Nitecore MT1A and the pocket clip is a good example of wrong. Bezel up makes no sense to me for one thing, but in the bezel down configuration so much light sticks out of the pocket that it wears at my pants and even my belt depending on how high a particular pair of pant's pockets are. 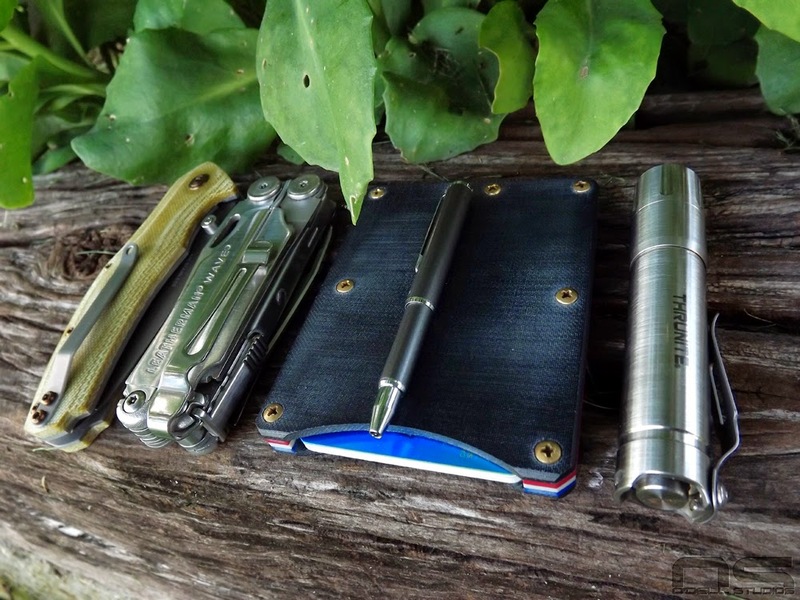 Carrying hard objects against soft fabric every day is going to cause wear but what bothers me even more is getting a jab from my EDC tools when I sit down or bend. No such issues from the T10. Stainless switches on the T10. Next, it has a tail switch. Multiple buttons and twisting and programming, it all just makes my brain hurt. All I want to do is take the light out of my pocket and turn it on, usually one handed. I have a feeling these other lights are technologically sophisticated and that has a certain appeal. I would bet the users are expecting a single light to do all things, or they just don't really use the light very often. I'm not suggesting modes aren't useful, in fact I think they are necessary, but I want to change modes with one hand, preferably the same way I turned the light on. The T10 has 3 modes, spaced the way I like them. The low is very low, the medium is a good combination of useful light and run time, and the high makes enough light for just about any day-to-day situations. It is a reverse clicky, and does have memory. 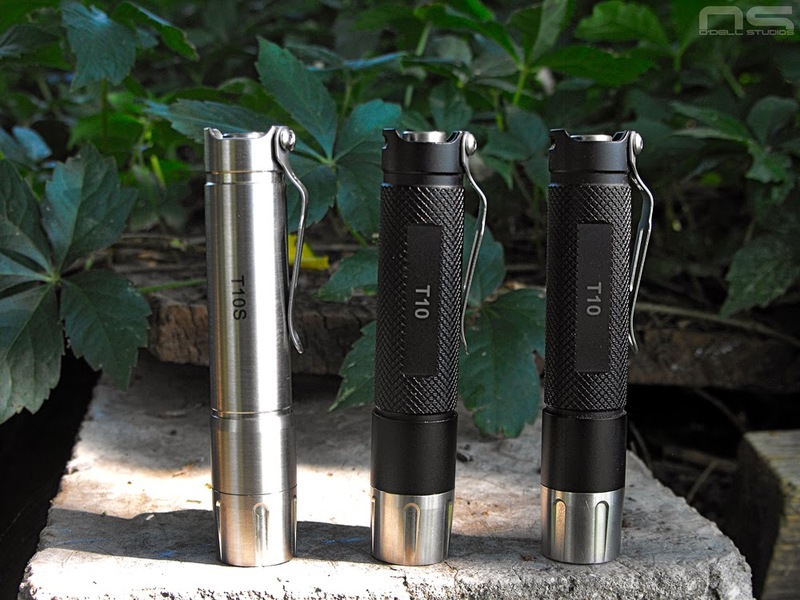 The T10 comes in aluminum, stainless and titanium with corresponding price points, starting at $30. With a compact form factor, the right features for its class and a few extra goodies like a diffuser, it's a very good value. From all indications, including some serious torture testing on youtube, Thrunite is making quality products. With that said, we had some issues. Firstly the customer service wasn't spectacular. 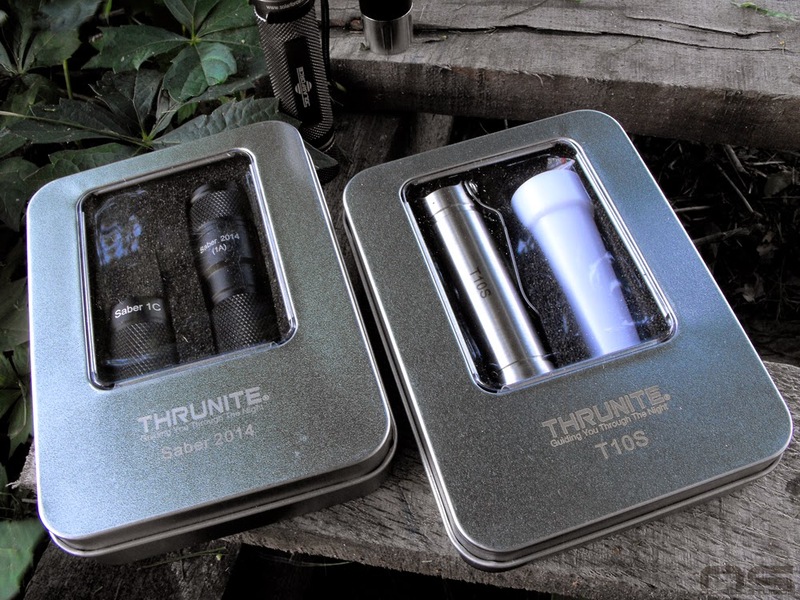 I ordered both an aluminum and a stainless T10 but received a Thrunite Saber 2014 in the mail. This caused some head scratching, but I got in touch with them. They never did tell me why I got the Saber or indicate that they wanted it back, but my stainless was back ordered. I guess they didn't feel it was important to let me know that it was back ordered unless I asked. In the end it took something like 15 business days to get the entire order after switching to a cool white T10S that was in stock. Next we had the pocket clip on the aluminum version bend out of shape after hooking on something. I've only ever had a pocket clip get bent on a Gerber knife. I got in the car, and when I got out, the clip was mangled. I have no idea how. 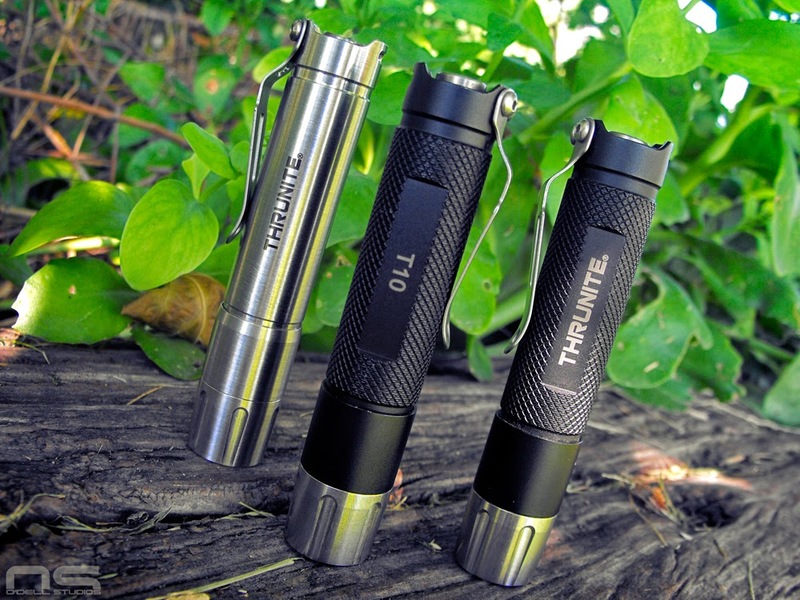 The Thrunite T10 clip is nice but does seem to be made from thin stock and doesn't have that spring steel feel to it. It was easy to put back into shape and it could have been a situation where any clip would have bent. Another crew member was testing it at the time and we don't know what exactly it caught on. Regardless, that T10 stopped working anyway. It would flicker and switch modes on its own, and fail to come on altogether at other times. Thrunite quickly replaced it, but wanted a video of the problem, which felt like some annoying hoop jumping. However, it was a relatively easy way to show them that it was jacked and they made it right. Left to right; T10, Z2, L10C, and L10. Despite the problems, I feel comfortable recommending the T10. 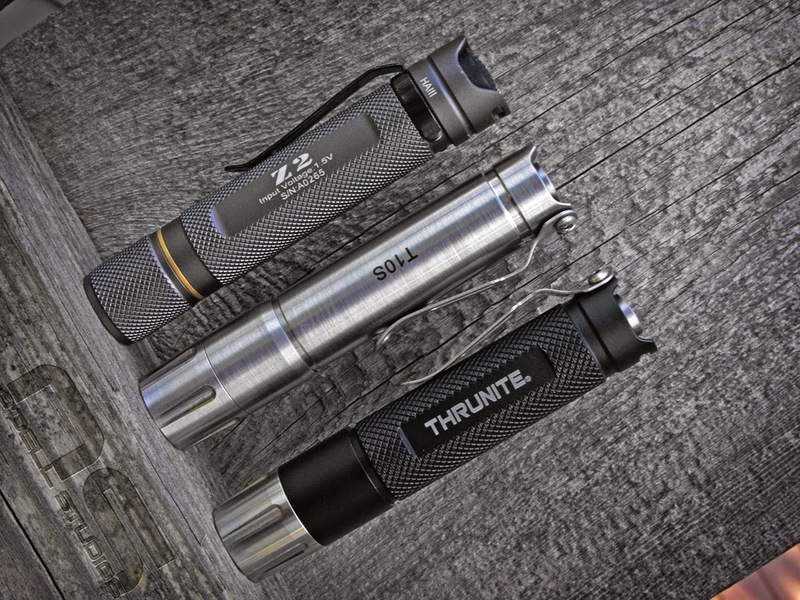 However, there are two functionally similar lights out there that arguably fall short only of the Thrunite's classy looks. 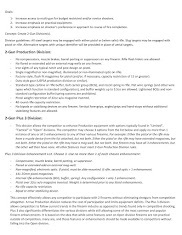 The L3 Illumination L10C and Solarforce Z2 are both cheaper and do the same work, plus they both come in different colors. All three of these lights are relatively new, an indication of the popularity of the class and form factor in my opinion. There are other, more expensive options already out there, but we're finally seeing some affordable competition for a slim, 1xAA pocket light with a clip and tail switch. 1xAA lights are long enough to grip, but slim enough to vanish in your pocket and clamp in your teeth for hands free operation. The tail switch provides one hand operation and mode changes and the pocket clip keeps the light where you want it. Eneloops and other "pre-charged" batteries make it easy and affordable to gas up your torch, while alkaline AAs are about as readily available as anything you can think of. 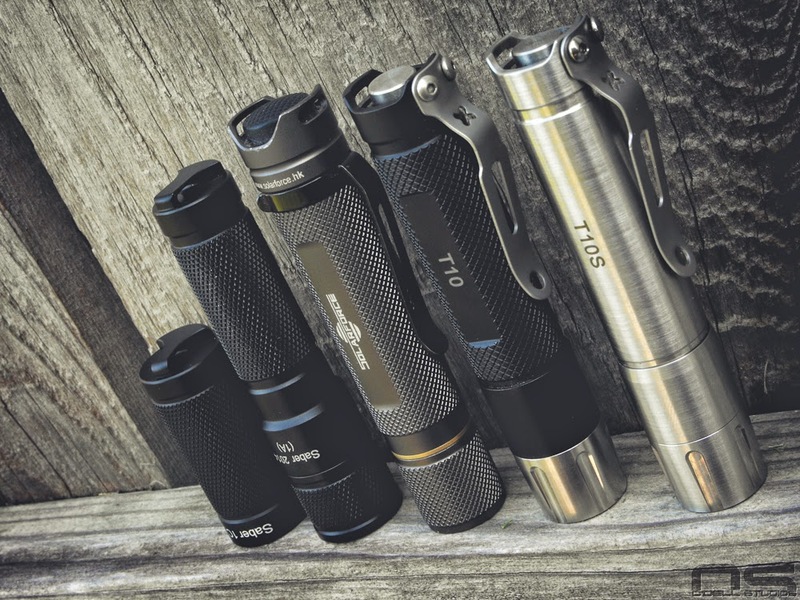 The bottom line on the T10 is that it steps up the looks department for budget pocket lights and gives owners a few nice extras in the deal. The stainless steel T10S has a definite tank-like feel with a little extra weight while the aluminum version keeps the cost low. To complete the line, the titanium T10T provides high end materials without sending the price through the roof. For the CR123 fans, there is the T20 line. Thrunite certainly makes it look like they've been listening to consumers and have put together the right product and successfully adapted it for a full line of lights for a full range of consumers. 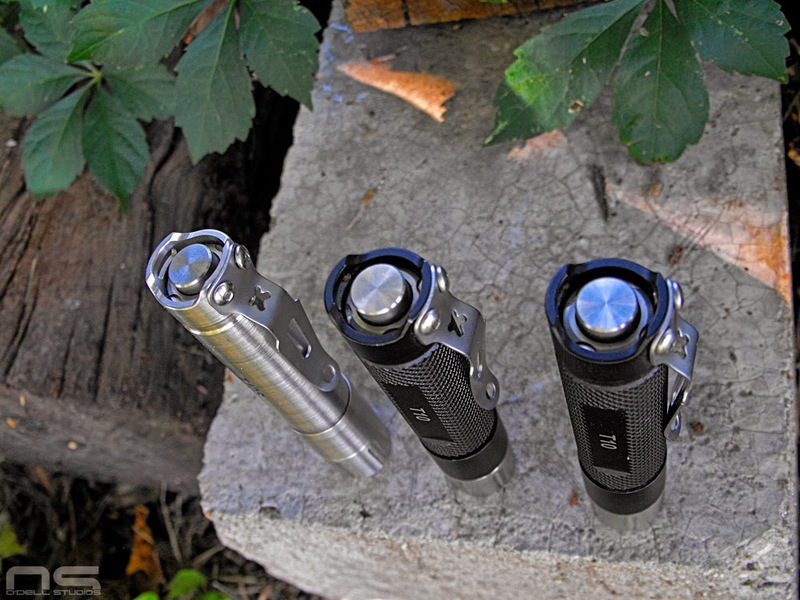 The T10 lights we tested. The black version is the least expensive aluminum version. Just a nice shot of some good looking lights. This is how they are packaged and you see the diffuser included there - a nice touch. Here they are pictured with the Solarforce Z2. Same form factor, much less money. No reverse polarity protection, but pretty neat and clean workmanship. 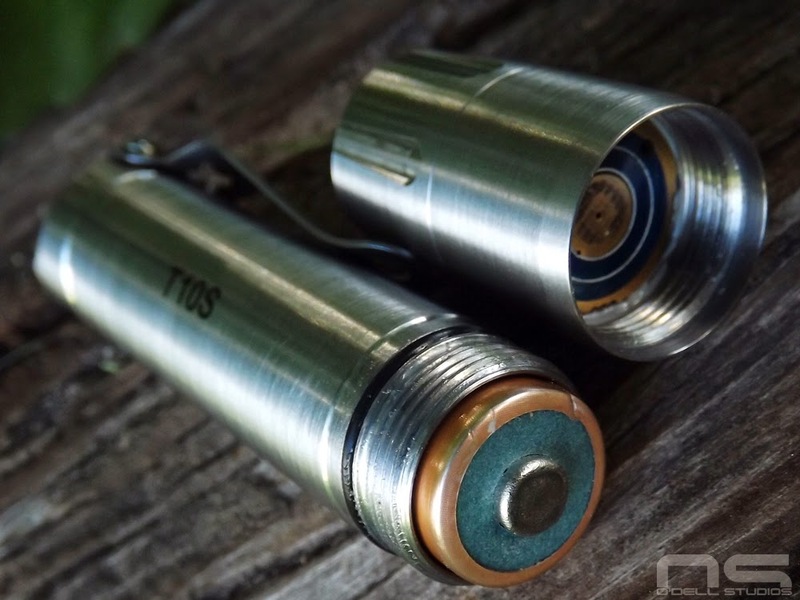 The Saber 2014 is a keychain light which comes with two body tubes enabling AA or CR123 batteries.